TAIWANESE actor/singer Kai Ko Chen-tung is now leading a “healthy” lifestyle, or so he claims, two months after his release from a 14-day detention in Beijing. He had tested positive for using marijuana in August. The 23-year-old star, whose debut film You Are The Apple of My Eye bagged him the best new actor at the 48th Golden Horse Awards in 2011, said he now goes to the gym three times a week, and is attending self-enrichment programmes, including learning English. “I have never felt so healthy ... Despite putting on 5kg, I am much fitter compared with who I was in the past,” Ko told Taiwanese media recently. Ko’s agent strategically held a media group interview on a basketball court to show off Ko’s “clean and healthy” lifestyle. Ko became famous when he was arrested by the Beijing police in August, alongside Hong Kong actor Jaycee Chan — son of action star Jackie Chan. Ko admitted to taking marijuana and vowed not to take drugs again, while Jaycee has been formally charged with providing a venue for drug use, a criminal charge that carries a penalty of up to three years in prison. Ko has now returned to Taipei but his career has hit pause mode, as he has not received any invitations to perform. It was reported that his current 20-or-so endorsement deals worth NT$50 million (RM5.4 million) across China and Taiwan are in crisis, as certain advertisers have called for the termination of contracts and are asking for compensation or refunds. His agent said negotiations are still ongoing. 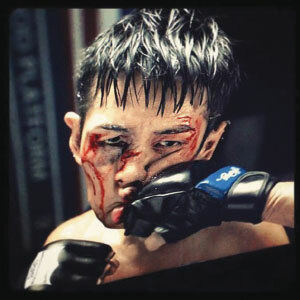 Kai Ko posting a beaten-up face on his Facebook. Ko became famous when he was arrested by the Beijing police in August. This article first appeared in The Edge Financial Daily, on November 7, 2014.